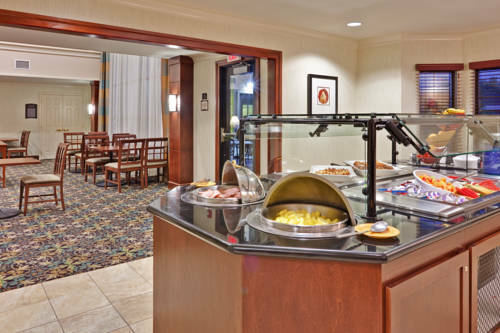 Guests Love West Seneca, NY Hotel's LocationBeautiful and convenient, the Staybridge Suites Buffalo, NY hotel's location meets the needs of every traveler. Resting on the eastern shore of Lake Erie, West Seneca provides access to entertainment, attractions and business opportunities for the hotel's guests.In Buffalo, NY, top local companies like General Mills, General Motors, Ford, United Healthcare, Geico Insurance and HSBC Bank aren't far from the hotel. While in Buffalo, NY, the hotel's business guests can take advantage of nearby Interstate 90 and Buffalo / Niagara International Airport (BUF) for direct travel to their business destinations.Leisure travelers find plenty to do at this hotel's location in the Buffalo, NY area. Niagara Falls is one of the biggest tourist attractions in the country and just 30 miles away. Nearby HSBC Arena and Ralph Wilson Stadium are the homes of Buffalo's major professional sports teams. With Walden Galleria and McKinley Malls nearby, guests can spend a relaxing afternoon shopping.The Staybridge Suites Buffalo hotel's amenities are ideal for extended stay travelers. The hotel's indoor, saltwater pool and hot tub provide on-site entertainment and a relaxing atmosphere during your stay. The hotel also has complimentary laundry facilities, and an on-site convenience store is available for all your immediate needs. Visit us and experience all that Western New York has to offer you. Curly's Restaurant: This is a steak, seafood, and pasta restaurant. Childrens's program - Chuckie Cheese, Buffalo Science Museum, Botanical Gardens, Naval Park & Waterfront, Regal & Dipson Movie Theaters, Bounce Magic, Niagara Falls, Buffalo Public Libraries, Sky Zone, Penn dssil Digging, and Knox Art Gallery with easy access from the hotel. Niagara FallsFeel the Power of one of the Wonders of the World that is Niagara Falls. First Niagara Center-Buffalo SabresHome of the Buffalo Sabres, Buffalo Bandits and a host of other events and concerts. Buffalo ZooFun Filled excitement for everyone. Buffalo Botanical GardensThe Victorian Botanical Garden is a National Historic Site featuring exotic horticulture.